As a founding partner at Main Line Fertility and Reproductive Medicine, Dr. Glassner serves as the Medical Director at MLF. He is also a founding partner of the Clinical Trial Center of Philadelphia and a founding director of the Center for Reproductive Medicine at Bryn Mawr Hospital. Dr. Glassner is a clinical professor at Drexel University College of Medicine and a clinical educator at Jefferson Medical College. In addition to being a member of numerous leading professional organizations, he serves on several professional advisory boards. For over 25 years, Dr. Glassner has helped his patients receive the highest quality of care and has treated patients from around the world. An established leader in infertility and reproductive medicine, Dr. Glassner is both a clinician and scientist at heart. His contributions include more than 45 scientific and professional articles. He is a true pioneer in his field and has been behind notable achievements including first pregnancy and live birth using early screen with Next Generation Sequencing in the world. Dr. Glassner’s prolific research has helped lead to breakthroughs in the treatment of infertility. Dr. Glassner completed his medical training at Albany Medical College where he finished both college and medical school in a combined six-year medical educational program. He then completed his residency at the Medical College of Pennsylvania before carrying out his fellowship in Reproductive Medicine and Infertility at the Hospital of the University of Pennsylvania. Philadelphia Magazine and Main Line Today named Dr. Glassner as a “Top Doctor” for his medical expertise and specialty in infertility. Dr. Glassner’s seasoned experience, extensive medical training and supportive patient care has helped him earn the honor of being named a top doctor for multiple years in a row. Multiple consumer organizations have recognized Dr. Glassner’s commitment to helping his patients share the gift of life. 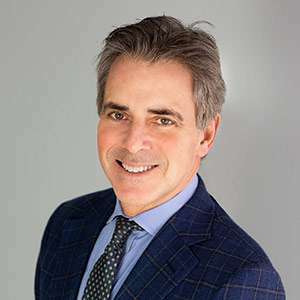 Castle Connolly Medical Ltd., a research organization that connects consumers with some of the top physicians in the world, has recognized Dr. Glassner as being the Top Doctor in America. National directory Consumers Checkbook has also named Dr. Glassner as being one of the top infertility physicians in the Delaware valley. With a wealth of research and clinical experience, Dr. Glassner has also shared his insights as a medical expert with ABC’s 20/20, NBC, CBS, Fox 29 News, The Doctors TV Show, Action News as well as The Discovery Health Network and CN8.